HEAL National Conference April 29-May 1. Click here to register. 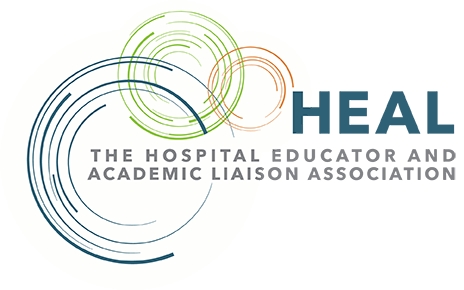 The Hospital Educator and Academic Liaison (HEAL) Association is an organization dedicated to supporting students with medical and mental health needs. Former organizations AECMN (The Association for the Education of Children with Medical Needs) and APHOES (The Association of Pediatric Hematology Oncology Educational Specialists) merged together in May of 2018 to work together for their common goal of supporting students, advocating for best practices, and networking across North America. Advance awareness of the educational needs of students with medical and mental health needs. Encourage and provide resources for the advocacy of students. Help the Hospital Educator and Academic Liaison Association make a difference in the lives of students with medical and mental health needs with a donation today! Donations will go towards furthering the mission to ensure all students have access to educational success, no matter their diagnosis. Interested in being part of the amazing network of educators, practitioners, parents, and others dedicated to making a difference in the lives of students with medical and mental health needs? 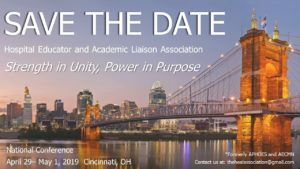 Find out about the different membership options for the Hospital Educator and Academic Liaison Association today! Professionals interested in or active in supporting the education of children and adolescents with medical and mental health needs. Active members receive all membership benefits, may vote and hold elected office. Membership open to full-time students with an interest in supporting the educational needs of children, adolescents and young adults with medical and mental health needs. Student members may serve on volunteer task forces and committees. Parents/caregivers with an interest in the education of children, adolescents and young adults with medical and mental health needs. Parent partner members enjoy all privileges of professional membership, but may not vote or hold elected office. Parent partner members may serve on volunteer task forces and committees. Retired educators and other professionals who provide services to children and adolescents with medical and behavioral health needs. Members enjoy all privileges of professional membership, but may not vote or hold elected office. Retired professional members may serve on volunteer task forces and committees. Want to stay up-to-date on what's happening with HEAL? Sign up for our newsletter to receive news, information, and announcements directly to your inbox!